... is run out of Dortmund, Germany. The sound is focused on Electro and Techno, influenced by the 80ies sound of EBM, Wave and a classic Detroit Electro/Techno feeling. 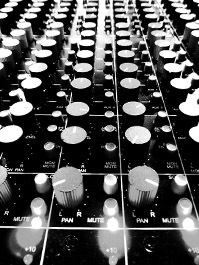 The EC-crew is playing live-gigs and spinning on the wheels of steel - analogue gear and good old vinylrecords are our passion. MAS 2008, heimelektronik, Interfunk, C.M.O.S., Sbassship, Bastards of Love.